Information on this page is copyrighted by the Society of Automotive Engineers of Japan, Inc. and the content providers. Please be aware that this information may not be transferred, duplicated, broadcast, transmitted to the public, translated, sold, lent, or the like without the prior permission of the Society of Automotive Engineers of Japan, Inc., unless the intended usage is recognized as for personal use, quotation, or the like by the Copyright Act of Japan. 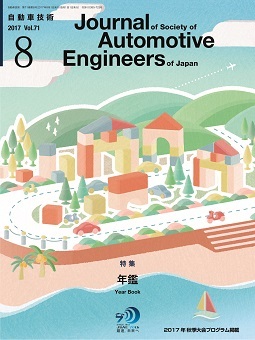 Society of Automotive Engineers of Japan, Inc. All rights reserved.